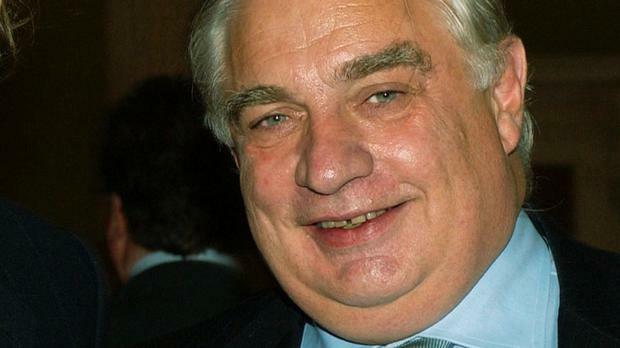 POLITICIANS have united in paying their respects to Peter Sutherland who died after losing a lengthy battle with illness. President Michael D Higgins said he had learned of Mr Sutherland’s death with great sadness. He particularly praised Mr Sutherland’s advocacy on behalf of migrants. Mr Sutherland died at St James’s Hospital, Dublin, having never recovered from a heart attack suffered in September 2016. Taoiseach Leo Varadkar also paid tribute and expressed his sympathies to Mr Sutherland’s wife, Maruja, his children, Shane, Natalia and Ian, his 10 grandchildren, and other family members. The Taoiseach noted his work as EU competition commissioner from 1984 to 1989. “His work on the Open Skies policy helped make low-cost air travel across the continent possible and opened up Ireland to its tourism success,” Mr Varadkar added. Fianna Fáil leader Micheál Martin said he met Mr Sutherland on many occasions when he was enterprise minister and later foreign affairs minister. He said Mr Sutherland had played an important role in Irish public life and internationally. “He was a champion of free trade and fair competition and had a keen intellect and understood the changing nature of global trade and economy,” Mr Martin said. “Peter’s dedication to public service was not only confined to his work here in Ireland. In his capacity as European commissioner for competition he revolutionised competition and trade laws. For example, the liberalisation of the EU aviation sector owes much to his work as EU commissioner,” the Fianna Fáil leader added. Businessman Denis O'Brien, who is the majority shareholder of Independent News and Media, which publishes Independent.ie, said he was very saddened to hear of the death of Mr Sutherland. He said: "Peter was one of the most outstanding personalities in modern Irish life. A man of great intellect he was peerless in every role from Attorney General through to European Commissioner and subsequently as WTO negotiator and then as chairman of Goldman Sachs International." Mr O'Brien said the former Attorney General was the commentator that business leaders most sought out and listened to on the subject of Brexit. "He will be a major loss as Ireland faces into Brexit as he was one of the most brilliant minds available to the business community in Ireland on this topic. "Everybody is deeply saddened that he has been taken far too soon," said Mr O'Brien. Labour leader Brendan Howlin said Mr Sutherland was a giant on the international stage. “While we may have had political differences, his commitment to internationalism and multilateralism through his career was deeply felt,” Mr Howlin said. Former Fine Gael Taoiseach and ex-EU ambassador to Washington John Bruton said Mr Sutherland’s stance as EU competition commissioner often brought him into conflict with Commission president Jacques Delors and British prime minister Margaret Thatcher. “He was unafraid and stood his ground, and vindicated the independence of the Commission,” Mr Bruton said.